This photo has been making the rounds with the family on Facebook. 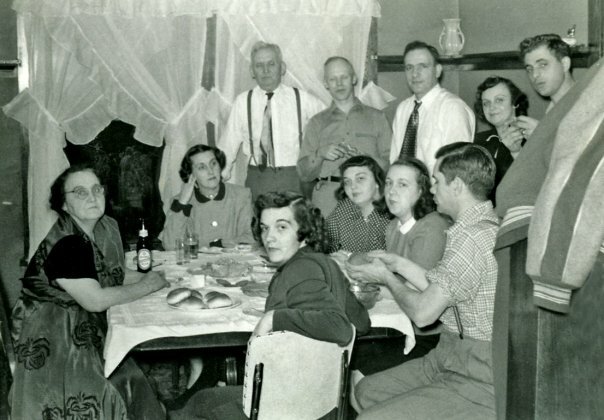 It’s my great grandparents, grandmother, her siblings and in-laws all sitting around the table in the late 1940’s. I believe the original is held by my cousin Gigi Naples.